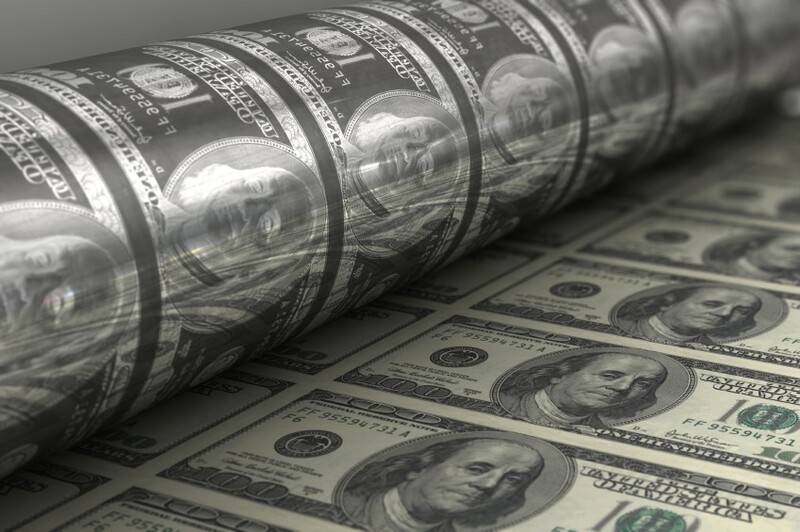 Printing money: our only idea? The recent G-20 summit occurred just a few weeks after a symposium of global central bankers, which put questions of the global economy in the spotlight. However, as only a few voices note, the discourse largely glosses over the extraordinarily distorted shape of global finance and the perils that raises. In short, the global economy has been leaning on monetary policy—the printing of money by central banks —to avoid decline. The evidence is in an unprecedented incidence of negative interest rates, particularly for trillions of dollars worth of sovereign bonds. As national authorities have limited their fiscal spending, out of political or budgetary constraints, central banks, which create money, have pumped it in to stimulate their economies. They have bought bonds for years, and in the process they have lowered the benchmark rates on financial instruments. As economies revive, they would normally be expected to raise rates, and sell the bonds back into the markets, but that hasn’t happened. Thus, rates go to zero—and beyond, most notoriously in the EU but also in Japan. Even in the U.S., the Federal Reserve has signaled an intention to raise its rates for years, but has only announced one hike of the Fed Funds target rate, from zero to a quarter percent. The ECB has apparently bought bonds directly from corporate issuers, essentially making loans directly to those companies, for lack of bonds to buy elsewhere. The knock-on effects distort economies further. Pension funds’ earnings on their assets do not cover payments they will owe future retirees. To find yield, they invest in increasingly risky bonds and stocks, apparently raising the market risks to pensioners’ savings to defray the risk of benefit-payment shortfalls. Meanwhile, firms are loading up on debt, which raises their risk profiles, a notable one being the now-defaulted Hanjin Shipping, which had a debt to equity ratio of about 6 to 1. The image that emerges is one of stagnant economies burdened by debt, as the last tool for stimulus taps out. The prospects for growth remain bleak, while the dangers of debt increase every month that borrowers’ cash flows fail to grow. The picture is global: the EU is constrained by its economic crisis, plus Brexit, plus the questions around refugee flows; the U.S., despite its mild optimism, is still jittery; China is in a deep economic adjustment; the oil economies are subject to both the competitive effect of fracking and the weakness of global demand; and export-driven economies are left with no buyers. Even were there a general disposition to acknowledge these risks, solutions would be difficult to craft. But both the central bankers and the G-20 leaders seem inclined to talk around this scenario, though it seems implicitly understood. Fear that was known but unaddressed while old practices continued marked the geopolitics of 1914 and the financial markets in 2007-8. Anyone in finance during the latter period may remember risk assessments that concluded with “… if that scenario happens, this deal will be the least of our problems.” On top of the risks in place and the disinclination to fix them, we now also know that nightmares can come true. There are those who say that one never knows where growth originates, and all we can do is muddle along. Certainly the known tools for stimulating growth seem to have been exhausted, and no one can see brilliant new policy or market methods. It would seem that there is a basic problem of somehow restoring what Keynes called the ‘animal spirits’ of at least a few of the major economies. But, in any economy one can name, the social, political, and/or psychological scene is mired in negativity. Perhaps muddling through will eventually lead to stabilization and a return of confidence. For that or for quicker answers, we might start praying.